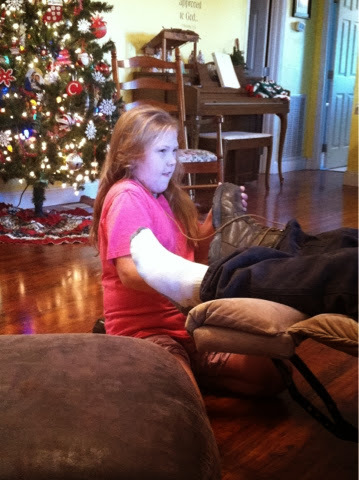 When I was a little girl, my Daddy would come in from a long day at work and I would help pull his boots off. I remember doing this all the time. It was something I did to help Daddy sit back and relax, to help him realize he was home and I loved him and wanted to serve him. Time has passed and now I have four children of my own. 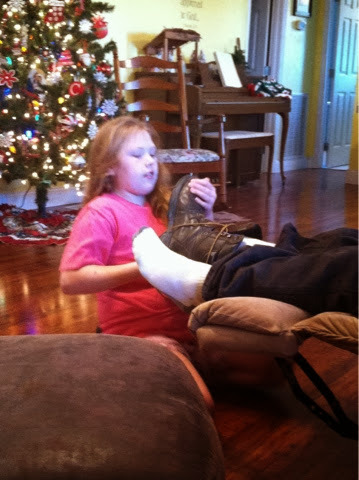 I told my kids about how I used to help my Daddy by taking off his work boots for him. 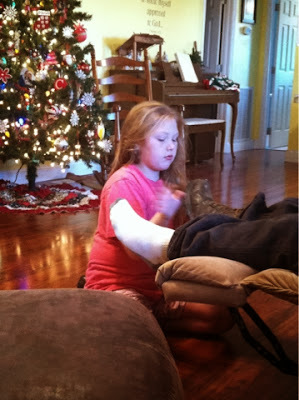 Daddy's work hard and when they come home, their feet ache and their backs are sometimes sore. In this little way, we are serving. Such a small gesture, but it shows such great love and respect, in my opinion. My daughter Carlie, is such an example. She is almost ALWAYS willing to serve. 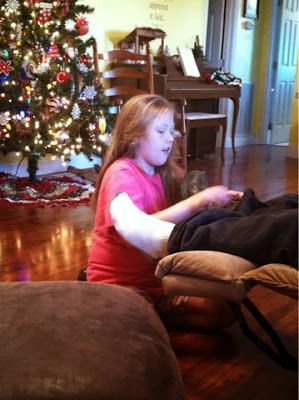 She loves to help and loves to do things for others. When I told this story many years ago, she was the first one in line to help HER Daddy with his boots that evening... and she still is doing it today. I want to make sure that I am raising my kids to serve. Our greatest example, Jesus, served people. Why shouldn't we? Even if it is starting small. Give your children chances to serve. Let them bring you coffee. Let them sweep the floor. Let them buy a small gift for someone. Let them help your parents clean their house... There are MANY ways of serving. I pray that I will do my best to teach my kids this lesson and that one day when they are all grown, I will see men and women who enjoy serving one another and the Lord.